The study of earthquakes is a young science. It wasn’t until the San Francisco earthquake in 1906 that seismology became a recognised discipline. Information captured from the activity along the San Andreas fault plate enabled scientists to develop the first model that explained how energy was stored and released along a fault. It was a huge leap forward in our appreciation for the inner workings of our world. In the short time since, our understanding of how the planet works has been revolutionised. Plate tectonics was only validated as an idea in the 1950s. Advances in technology continued to increase our ability to probe and measure the Earth. In the 1970s, satellites gave us a new perspective on the planet. For seismologists, digital sensors they could plant in the Earth could now feedback to satellites and take continuous measurements of the ever-shifting Earth’s crust. Seismology moved into a new era with vast amounts of data providing the opportunity to test statistical models in an attempt to produce earthquake forecasts. Cross-referencing readings also gave a window into the physics at work. Seismometers have continued to develop and improve, but remain the mainstay of the seismologist’s toolkit. But earthquakes are unpredictable and, thankfully, rare. So opportunities to study major events have to be seized upon. In 2016, the centre of Italy experienced a series of unusual seismic episodes. 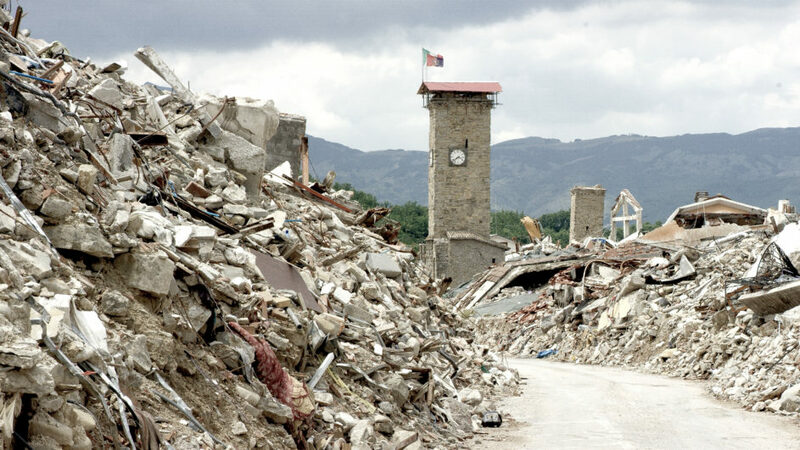 Italy has a long history of earthquakes which has been faithfully recorded and documented for the last 1,000 years. In addition, geologists have been mapping the fault-ridden mountains for decades. This empirical data gives seismologists an excellent foundation on which to build their forecast models. But to truly advance our understanding, seismologists need to record major events and the aftermath in much greater detail. This film documents how in August 2016 a group of scientists grabbed the opportunity to gather an unprecedented level of data in the wake of a devastating earthquake in Amatrice. And the months that followed proved equally full of surprises. Their story is an extraordinary snap-shot of what it means to study earthquakes. Seismologists work in vast landscapes, waiting for events that may be hundreds of years apart. They are also left with the daunting task of sharing their complex and often confusing findings with the public. But it’s a time of great optimism in the world of seismology. New technologies promise chances to make great advances in the near future. These new techniques and the exceptional work of the team we follow in this film provide a glimpse into how this young science might evolve and grow in the future. Read about our film team’s experience in the infamous ‘red zones’ of Norcia and Amatrice.